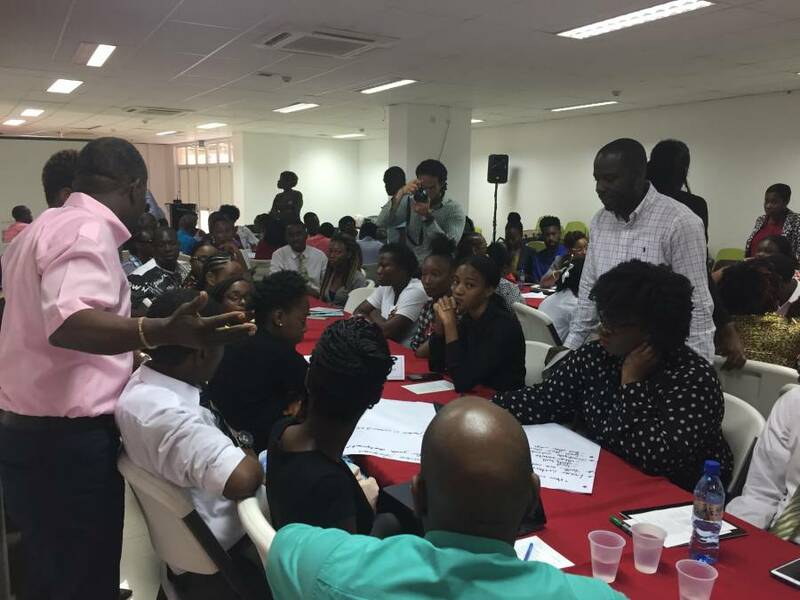 Prime Minister, Dr the Right Honourable Keith Mitchell spent some time last Thursday interacting with the nation’s youth attending a consultation on the 2019 budget. Organised by the Ministry of Finance, Planning, Economic and Physical Development, the consultation was held under the theme, Transforming the Economy Through Youth Development. He noted that with young people regarded as the future of this country, Government is particularly keen to ensure that they are provided with opportunities to enable them to make meaningful contributions to the development of Grenada. The Prime Minister expressed full confidence in the capacity of young people to contribute to development. “In my experience around the country, I have seen tremendous talent among young people, their brilliant ideas and capable understanding about their future and the country’s future. We believe our fundamental responsibility as a government is to create the opportunities so that you, the young people can make choices,” he stated. The Prime minister noted that the real prosperity of any country lies in the education of its people, the development of human resources. “That is real power, because raw materials may be depleted, their value may depreciate but nothing can take away the power of education. That’s why every attempt is made to train and provide opportunities to young people at all levels and I’m not only talking about academic education. If someone wants to become a medical doctor, that’s okay and if you want to become an excellent fisherman, that’s also okay, no profession is less than the next one,” Dr Mitchell emphasised. After addressing the gathering of young people, Prime Minister Mitchell moved across the room, interacting with them as they engaged in group discussions on various topics which included, Youth in Agriculture, Training Opportunities, Youth and Small Business Development and Youth in Cooperatives.